Replacement 20-foot Earthing Coil Cord for use with Earthing Bands and Earthing Patches. Snap Earthing Band or Patch onto wire then plug male end into either a ground port of electrical socket or Earthing Ground Rod Wire. Get an extra cord or two, so you can ground more than one spot at once. Or to use several products/patches at once. 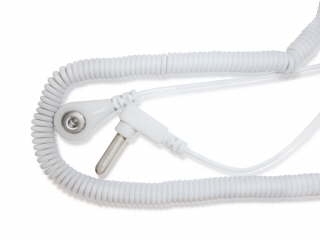 Replacement 20-foot Earthing Coil Cord for use with Earthing Bands and Earthing Patches. Snap Earthing Band or Patch onto wire then plug male end into either a ground port of electrical socket or Earthing Ground Rod Wire. Mainly used fro patches and body bands. Works really well. Bought many to give to friends and family.